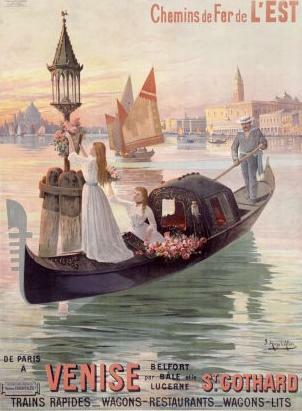 By Its Cover is book number twenty-three in the Commissario Guido Brunetti Mystery Series set in Venice, Italy. The Italian setting is the reason I requested a review-copy of this police procedural novel. 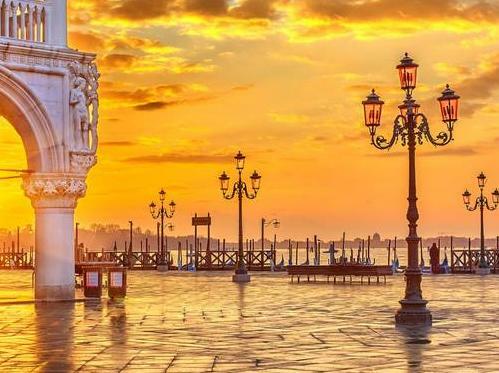 Fans of the series enjoy the inside view of the nearly-dead city Venice, a time-capsule city that has been nearly emptied of locals to become a "Disneyland" for adults. Fans also enjoy following the lives of the fictional Brunetti family. Diehard fans are forgiving of the often weak cases that make up the plotlines of the stories. I confess, I have read many of the books in this series, and I grew increasingly disappointed in the books' quality as the series progressed. More and more opinions, some repugnant, were spouted at the expense of plot and character. After I stopped following the series, I noticed suggestions in reviews of later books that a ghostwriter had taken over from the author and that the fans were not content with the product. So I was curious to see this latest book in the series. 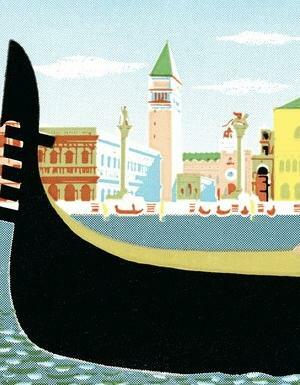 The police story begins immediately, which is promising, but already by page six we are treated to a long discourse about humongous cruise ships in the Venetian basin, and the corruption and bureaucracy that keeps them there. 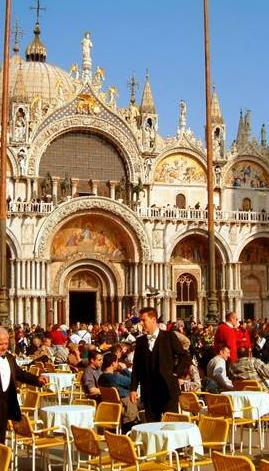 There are fans of the series who enjoy this local flavor, learning about the concerns of the last remaining Venetians. I agree that these details adds flavor; I just wish they were better integrated into the story. Not far along the riva of the Zattere, Foa pulled the boat to the right, flipped it into reverse and then neutral to let it glide to a stop. He grabbed a mooring rope and jumped up on to the pavement, bent and tied a quick knot. 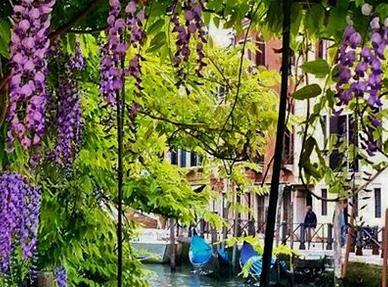 He reached down and grabbed Brunetti's hand to steady him as he made the jump to the pavement. Old paper, old books, had always filled Brunetti with nostalgia for centuries in which he had not lived. They were printed on paper made from old cloth, shredded, pounded, watered down and pounded again and hand-made into large sheets to be printed, then folded and folded again, and bound and stitched by hand: all that effort to record and remember who we are and what we thought, Brunetti mused. He remembered loving the feel and heft of them in his hands, but chiefly he remembered that dry, soft, scent, the past's attempt to make itself real to him. Brunetti is not a fan of e-books, then! There are lots of long reflections by Brunetti in By Its Cover. Actually, most of the book is made up of ruminations by Brunetti. The third person narration, is limited to Brunetti's state of mind, so we get a front row seat to every twist and turn of this thoughts. The author is a former English teacher, so one would expect the English to be of a high standard. I noticed a few confusing uses of the pronoun "he", but overall the English is of an excellent standard. What a joy to see a writer using the full set of punctuation marks, and using them correctly! If you've never read one of the books in the series before, don't worry. The author makes it easy to pick up the recurring characters: the boat driver, the boss, the secretary, the policemen and medical examiner, the wife and children and other family members. One very refreshing thing about the Brunetti series is that he has a stable and happy home life. 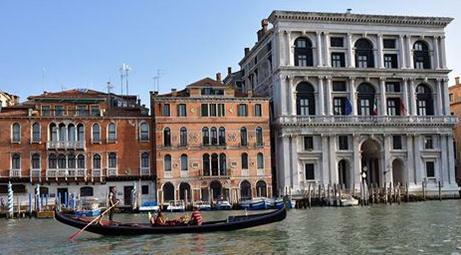 He is even free from financial worries since his wife is the only child of wealthy Venetian aristocracy. Do not expect a fast-moving police thriller. By Its Cover moves slowly, as slowly as Commissario Brunetti moves through his native Venice when not fueled by a recently drunk espresso. More a Maigret-like police procedural than the fast-moving types that are more common these days, By Its Cover is old-school, and proud of it. The death, there is always a murder in these books, takes place past the halfway mark of the book! "Old people are better victims," Rizzardi said, stripping off his gloves. ... "they're weak and can't defend themselves." "You'd think people would respect them," Brunetti said. "That people would be ... different." "You know, Guido, at times I find it difficult to believe you do the sort of work you do." I know other readers have mentioned in their reviews of By Its Cover that the ending is too abrupt, and I have to agree. It reads as if several chapters at the end of the book are missing. The case is resolved in a perfunctory manner by someone other than Brunetti. Brunetti usually treats us to a detailed explanation of the case at the end of the book, and some philosophical ruminations about the case and humankind, then seeks solace with his family. How odd! It feels like someone got tired of writing and said, "Oh, the hell with it! 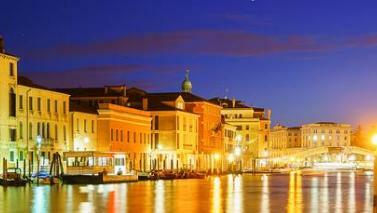 ", stopped writing and sent the file to her editor, then sauntered down a street in Venice to listen to Baroque music. The resulting book is unfair to Brunetti fans. 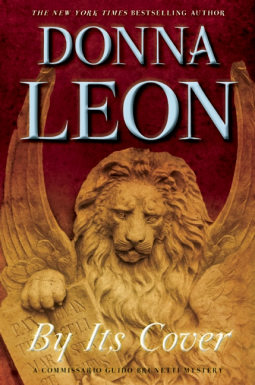 Visit my review of the first book in the Commissario Guido Brunetti Mystery Series, here at the Italophile Book Reviews site. Here is a complete list of the books in the series. The book is available several editions: hardback, e-book and audio book. Here are direct links to those editions at Amazon.com. 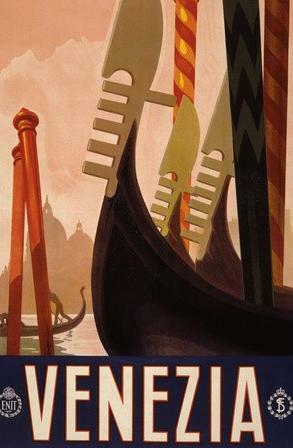 Here is a two minute narrated introduction to Venice, the setting of all the Commissario Brunetti books, made by travel book publishers Lonely Planet.